Our Appleton location near the Fox River Mall offers more than 60 classes each week! Our second location is in the Green Bay area and offers all the same classes as our original! 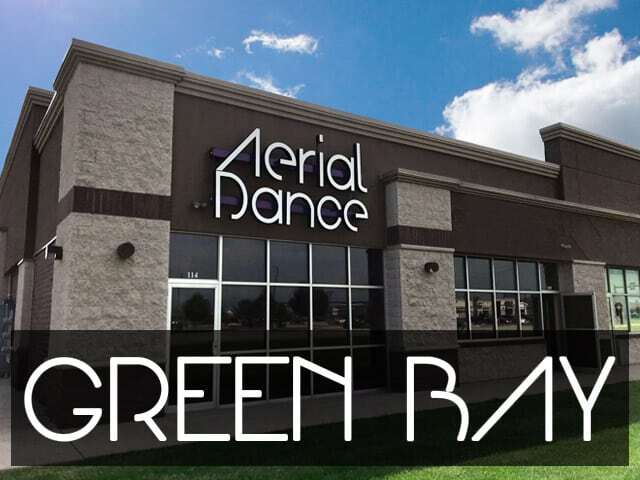 Aerial Dance is a sanctuary for women with locations in Appleton and Green Bay! Our playground features Pole, Hoop, Hammock and Silks in addition to flexibility, cardio and conditioning classes. Aerial Dance premiered the aerial and circus arts in the Fox Cities. Our instructors have countless hours of experience and multiple fitness certifications and with small class sizes (5-10 women max!) our knowledge instructors customize the workouts to those in attendance. With 60+ class times every week and 13+ drop-in class types, come fly and spin to a stronger, more confident you! Be empowered by the aerial arts at Aerial Dance! What is your safety factor?